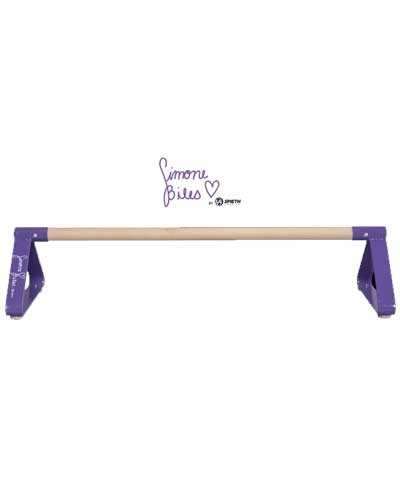 The Simone Biles Signature Pirouette Bar is 39.5" long and 12.5" high and features a 1.5" diameter wood bar. 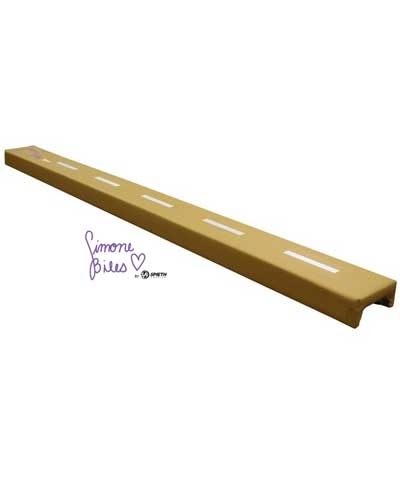 The end bases have non-marring rubber foot pads and are powder-coated in "Simone Purple" paint for durability. Perfect to practice gymnastics squat-ons, handstands, pirouettes and stalder drills. Ideal for home or gym.